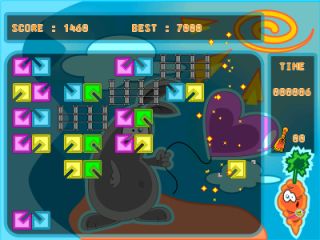 Biniax 2 is an original puzzle game by Jordan Tuzsuzov. For more information, visit the Biniax homepage. The port is based on the Dingux port by Ezial and Yoannd26 but has a number of improvements.